Students will classify nouns and verbs. 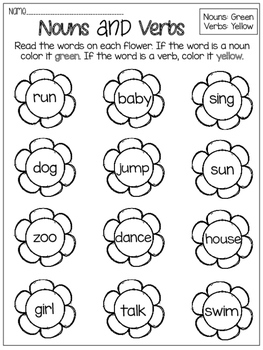 They will color the nouns green and the verbs yellow. This can be used for a quick assessment or exit ticket. I hope you enjoy!